Follow in the footsteps of Karen Blixen as you travel towards the Ngong Hills, you feel swept immediately onto the film set of Out of African the moment you arrive. 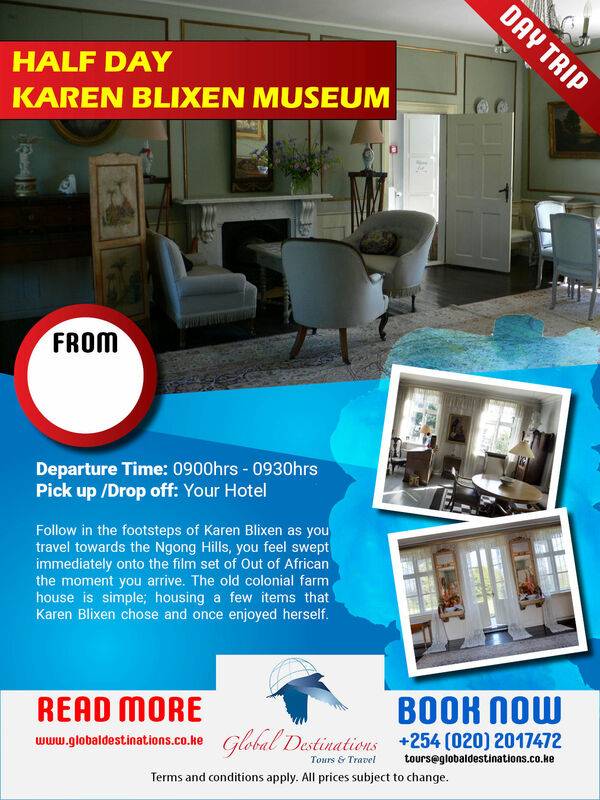 The old colonial farm house is simple; housing a few items that Karen Blixen chose and once enjoyed herself. There are also the colorful gardens to explore, where several old coffee machines have lain untouched for decades.